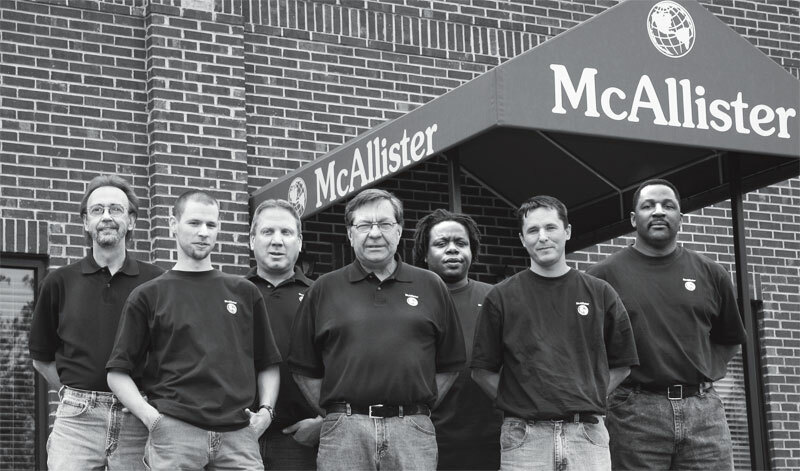 McAllister Retail Services is an Original Equipment Manufacturer with the highest standards of product performance. We strive to maintain the most competitive pricing, and known worldwide, we are a unique company offering the capability to manufacture, inventory, deliver and install our products with our own staff of steam fitters and trained technicians. Our new state of the art training facility has a repair department for presses, irons, boilers, sewing equipment and appliances. In addition, we have cultivated relationships over the years with a national network of service personnel. Our Service Coordinator, Tara Sims, is dedicated to providing prompt and courteous attention to the service needs of our customers and is highly knowledgeable about the industry. Richard brings over 40 years experience in the sewing machinery business. Richard is factory trained with US Blindstitch, Strobel and Rimoldi. This a distinction very few can claim. Richard is responsible for all facets of our sewing department as well as national servicing of our accounts. Jeff has the unique talent to work with sophisticated sewing and engineering applications as well as all facets of steam fitting. This combination allows Jeff to perform service for our local and national accounts on all pressing and sewing equipment. Jeff has been in the apparel trade since 1973. 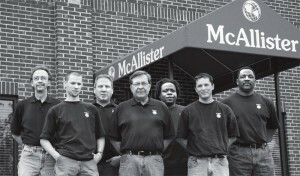 Brian Childers handles the repair department of McAllister. This entails processing and repairing irons, steamers, mini boilers and sewing machines. In addition to repairs, Brian handles all crating and general management of our inventory placement in both buildings. Tim Williams is a qualified steam fitter and is part of the national delivery team. Tim has installed hundreds of retail press rooms for our client base. On average, Tim will spend 48 weeks per year traveling to our national installations. Lamar handles all in house repairs on many varieties of steam irons. He receives and repairs irons within 48 hours of receiving. Tara Sims is the primary service coordinator for our national team of service technicians. One of the fastest growing divisions, Tara oversees hundreds of national calls and coordination with technicians on a monthly basis. Other responsibilities include processing orders and all vendor and customer invoicing. Sharon assists in the accounting department and customer service. Lisa coordinates national service for our accounts. General Administration and customer service. Erica coordinates national service for our accounts.